Manolo en una charla ayer por la tarde en Calpe al club MOFTAG. Esta asociación colabora cada año con VSF con una aportación económica. 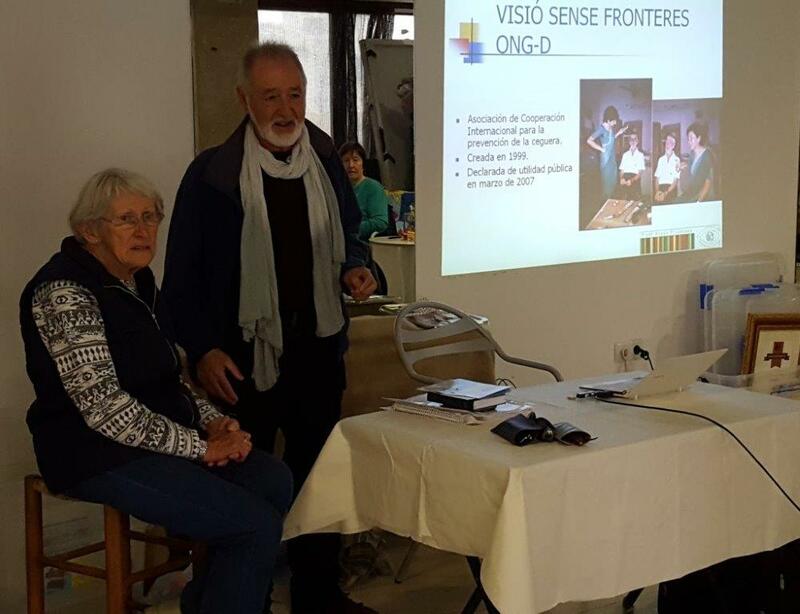 Thank you so much for taking the time to tell the ladies of the Moftag Club all about Vision Sense Fronteres. It was certainly a most interesting talk and we were all impressed by the work carried out by the medical teams from Spain.